New recruit Veniss, who made his debut for the team today, said “I’m very happy! Our plan was to go slow and clear, as my horse is a little green at this level, so we’re going to try and do the same tomorrow. We are going to try to be in the [GC Play Offs] for sure!" Valkenswaard United fielded the imposing paring of Marcus Ehning and Bertram Allen, with the duo bringing top horses Funky Fred and Molly Malone V for the fourth round of competition. An unusual two rails down from the experienced Ehning meant Allen had everything to do, however rose to the challenge beautifully - keeping the team on a score of 8 following his calm and collected clear. 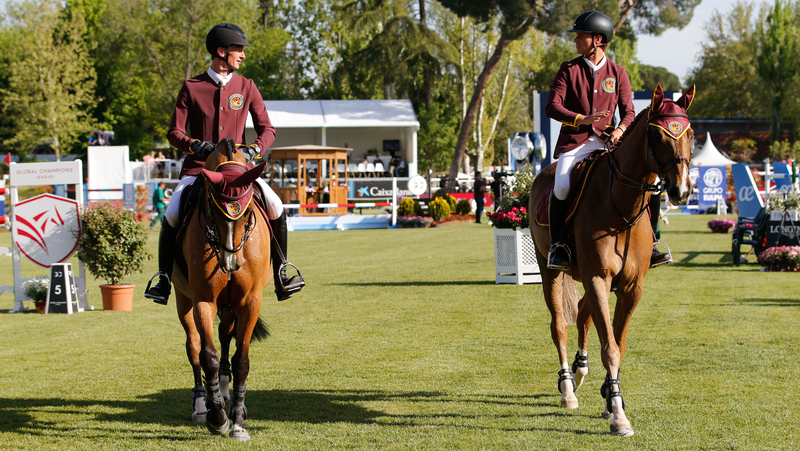 First, and ultimately the only team, to go double clear were the Shanghai Swans pairing - the burgundy and gold team setting the benchmark for the field to follow and proving the elusive double was possible. Pedro Veniss made his first appearance for the team this season, putting in a brilliant effort with Uccello de Will, quickly followed by Daniel Deusser with Equita van T Zorgvliet.